Lahaina Restoration Foundation is a 501(c)3 Hawai‘i nonprofit organization chartered in 1962. Its purpose is to restore, preserve and protect the physical, historical and cultural legacies of Lahaina, and honor the era of the Hawaiian Monarchy. Its vision is that Lahaina’s prominent place in Hawai‘i’s history and rich cultural traditions are celebrated and, through authentic preservation of significant sites, buildings and artifacts, its story is shared. The success of Lahaina Restoration Foundation (LRF) from its inception and into the third millennium lies largely in the guiding power of its volunteer Board of Directors. These individuals have been selected to serve the Foundation based on their experience and abilities in areas of business, community and cultural interests. LRF has restored and preserved more than one dozen landmarks and historic structures in Lahaina. 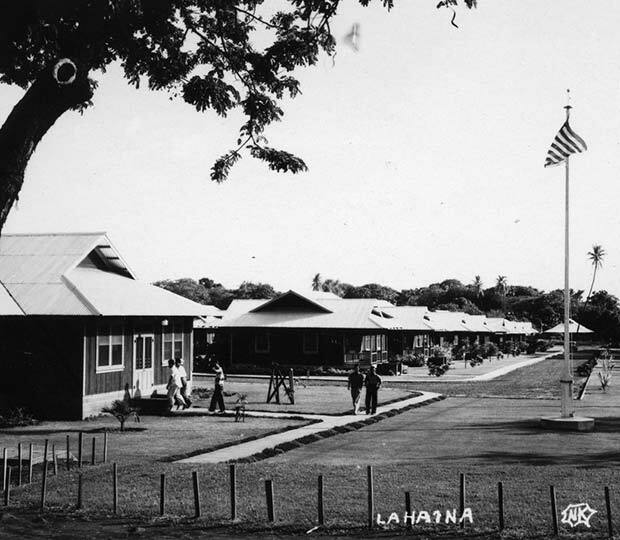 LRF maintains several collections of artifacts, photographs, manuscripts, maps, logs and other materials representative of Lahaina’s colorful past. These collections are available to the public and researchers by request. LRF manages and maintains the Baldwin Home Museum, Hale Pa‘i Printing Museum, Lahaina Heritage Museum, Old Lahaina Prison, Plantation Museum, Pioneer Mill Smokestack & Locomotives Exhibit and Wo Hing Museum, which are open to the public. Other structures under LRF protection are Masters’ Reading Room, Lahaina Lighthouse, Hale Aloha, Seamen’s Hospital and Plantation House, and the Agawa Home. LRF oversees operation and maintenance of Old Lahaina Courthouse and Banyan Tree Park along with other public spaces in Lahaina’s historic districts. Additionally, LRF maintains the interpretive signs along the Lahaina Historic Trail and produces a brochure-map of the Lahaina Historic Trail. The heritage of Lahaina is worth preserving. Join our Circle of Friends of Lahaina Restoration Foundation today and help protect Lahaina’s rich and varied history. Many of the black & white historic photos on this site were generously donated by the family of Naoki Kutsunai, Lahaina’s premier photographer in the early 20th century.